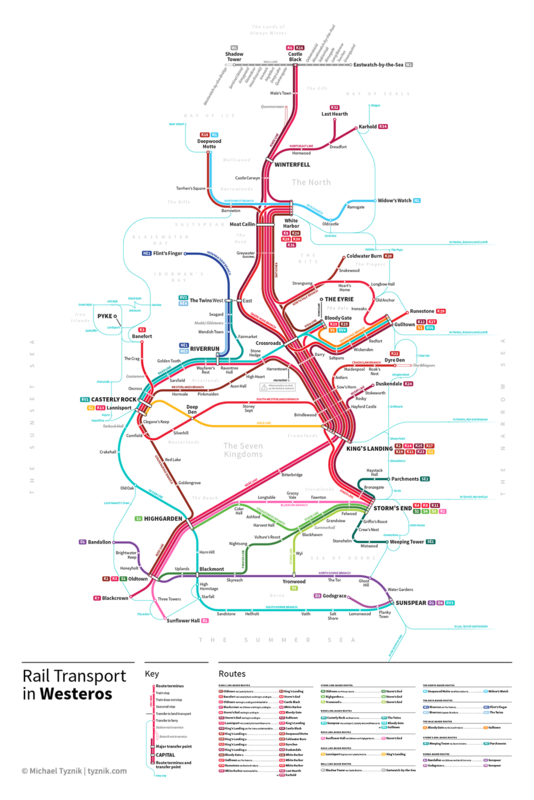 Graphic designer Michael Tyznik created a series of maps inspired by the widely successful book series/tv show Game of Thrones. 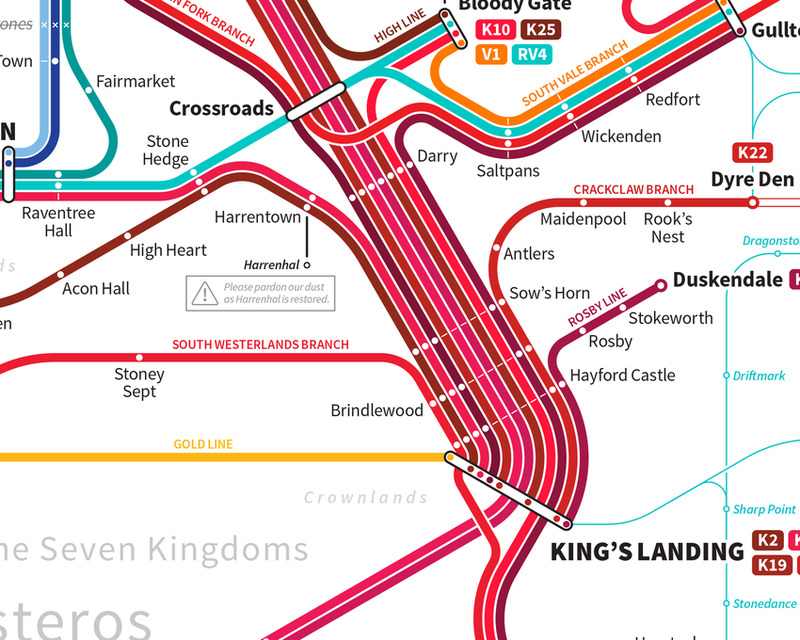 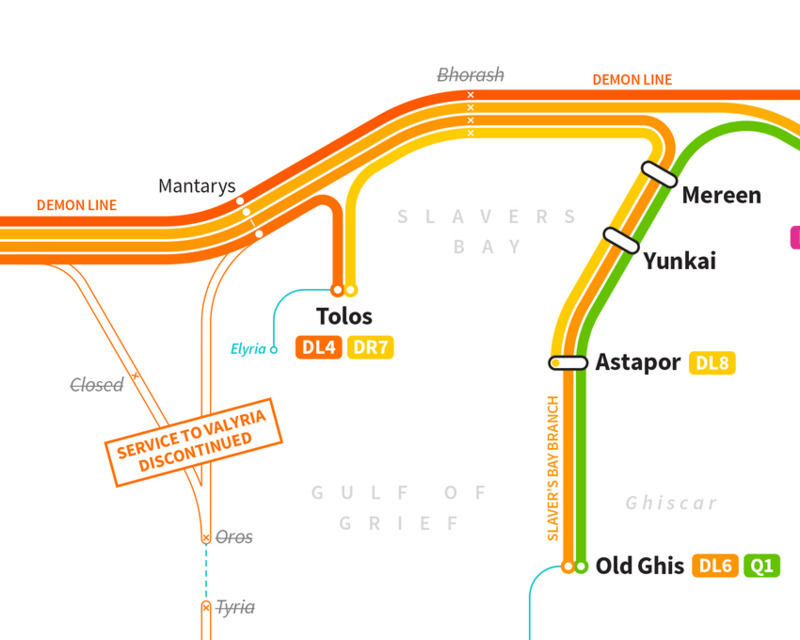 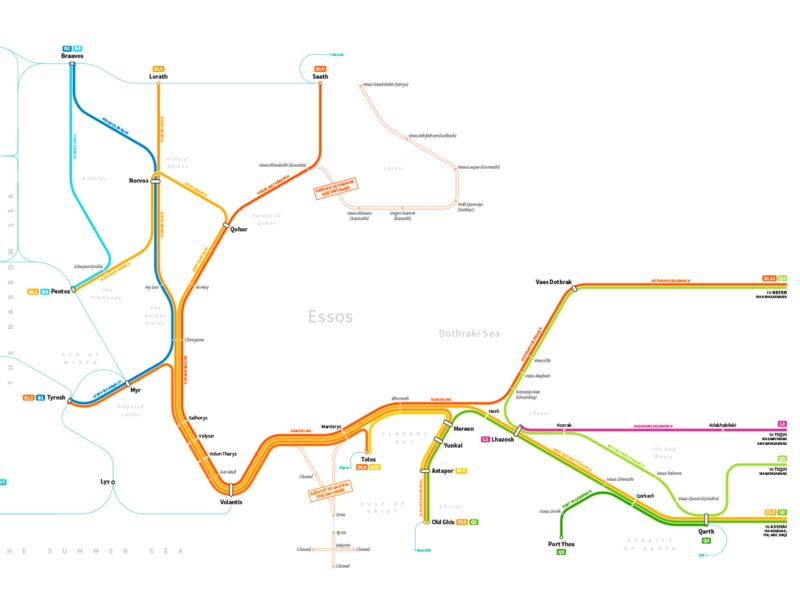 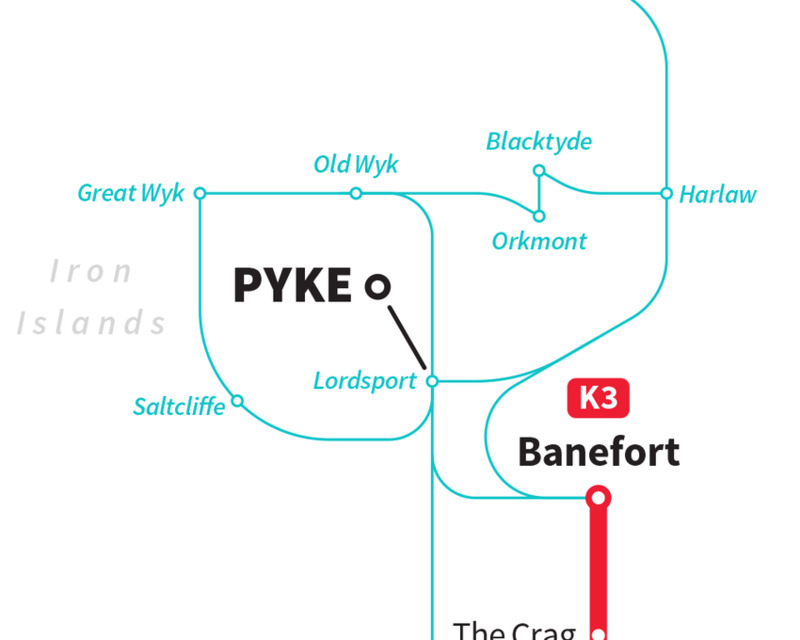 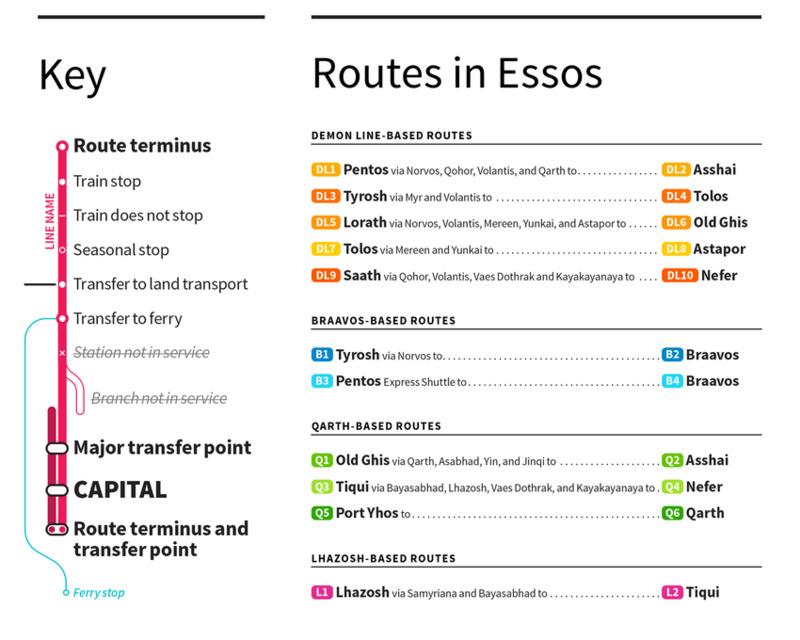 The map would transport you across Westeros and Essos on an imaginary railway, going from Kings Landing to Winterfell. 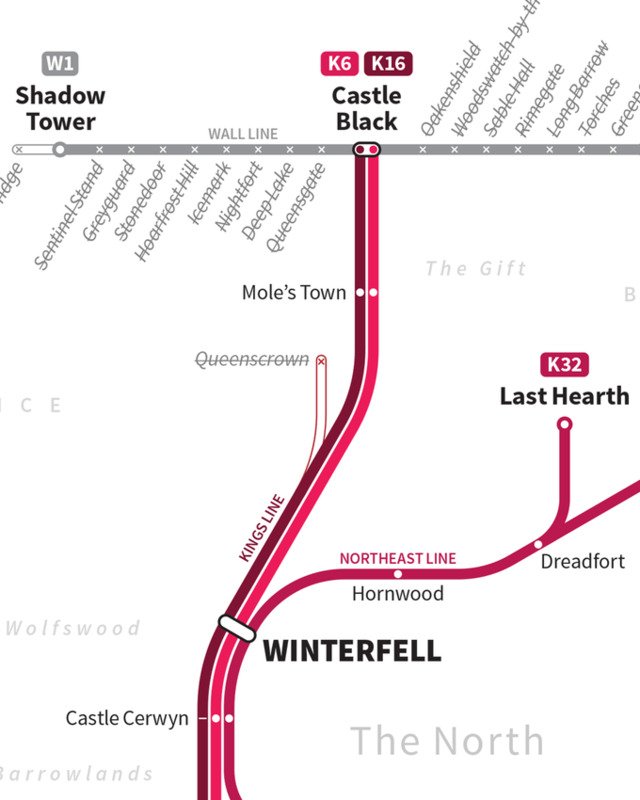 Each city is geographically outlined in its place, according to the books and official maps and is also littered with references from the series.